Note: This course was formerly THIT 380. This course provides an in-depth examination of some of the most important Italian films from the post-World War II era to the present day. It will cover ideological and aesthetic rules of film art, reviewing and expanding upon the most important elements of film technique as well as essential topics in the field of film theory and criticism. The course will look at the roots of Italian cinema, closely analyze Neorealism (the cinematic phenomenon that had an important influence on the ideological and aesthetic rules of film as art) and examine the most important directors and genres. 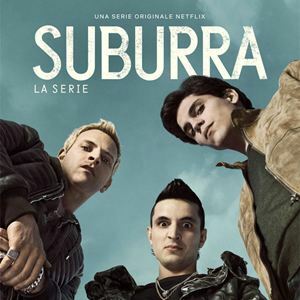 It will also consider recent small-screen productions that have had international relevance, such as HBO/RAI television’s My Brilliant Friend and Netflix’s first Italian series, Suburra. Bertellini, Giorgio. The Cinema of Italy. London: Wallflower, 2004. Critical Visions in Film Theory: Classical and Contemporary Readings. eds. Timothy Corrigan, Patricia White, and Meta Mazaj New York: Bedford/St. Martin’s Press, 2011. Corrigan, Timothy, and Patricia White. The Film Experience: An Introduction. Boston: Bedford/St. Martin’s, 2004. 222-252. Marcus, Millicent Joy. After Fellini: National Cinema in the Postmodern Age. Baltimore: Johns Hopkins UP, 2002.